Staff - Gittelman & Company P.C. 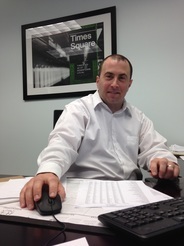 Mark I. Gittelman is a Certified Public Accountant, licensed in New York and New Jersey. He is a graduate of New York University and received his Masters of Science in taxation from Fairleigh Dickinson University. He started his career with the international accounting firm of KPMG. He spent three (3) years in the private advisory services department which specialized in offering tax and accounting services to privately held businesses. Mark is a frequent speaker on tax and accounting issues. 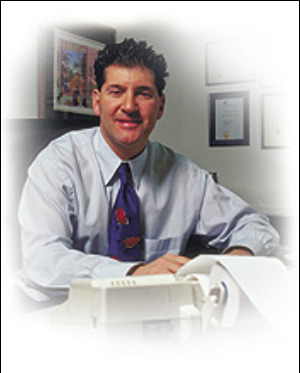 ​In 1984, he started the accounting firm of Gittelman & Company, P.C. with offices in Clifton, New Jersey and New York City. The Firm offers traditional accounting, tax and consulting services to businesses and individuals throughout the tri-state region. ​Mark is a member of the American Institute of Certified Public Accountants (AICPA) and the New Jersey and New York State Societies of Certified Public Accountants. He is also a member of the AICPA Tax Division. Donna M. Swiatek, Administrative Manager, is the only staff member that has been affiliated with the firm since its inception in 1984. Her dedicated service has directly contributed to the firm's growth and expansion over the last 31 years. Donna is involved with most of the firm's clients on a one-to-one basis in addition to the administrative management of the entire accounting staff and in-house computer network systems. These administrative responsibilities encompass all aspects of the firm's internal accounting, billing, collections, accounts payable, personnel, payroll, taxes, and management operations. financial reporting, accounts payable and accounts receivable departments. She joined Gittelman & Company, P.C. in October 1998. Sheryl is a member of the American Institute of Certified Public Accountants (AICPA) and the New York State Society of Certified Public Accountants. community. She also volunteers with a local Boy Scouts of America Troop as their Treasurer. ​Joseph E. Antoci, a Certified Public Accountant licensed in New Jersey is a graduate of Montclair State University. He also received his Masters of Science in taxation from Fairleigh Dickenson University in February of 1995. Joe has 20 plus years of experience working with family owned businesses in the areas of accounting, taxation and consulting to meet their financial needs. He started his career at Wiss & Company, a 100-person auditing and tax practice. He worked there five years assisting their client base and rising to the position of supervisor. He has spent the last 15 years servicing small businesses with their financing, accounting and tax planning needs. 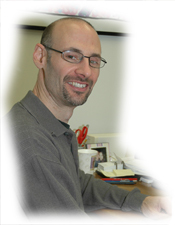 In October 2005, he joined Gittelman & Company, P.C. Joe is a member of the American Institute of Certified Public Accountants (AICPA) and the New Jersey Society of Certified Public Accountants. 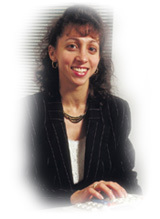 Theresa M. Longinetti, a Certified Public Accountant, is a graduate of Fairleigh Dickinson University and has her degree in Accounting. She started her career in public accounting at Schimel, Borenstein & Mazzei PA, a CPA firm, where she worked for 17 years. She was responsible for the financial reporting of a variety of business entities in diverse industries from many business sectors. 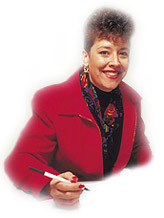 She has extensive knowledge in the use of computerized accounting software to assist clients in their business activities. Theresa is experienced in the preparation of all corporation tax returns, as well as individual income taxes. She joined Gittelman & Company, P.C. in October, 2006 and became a certified public accountant in 2010. Paltz. He began his career in the client service department with the accounting firm of Vancacore, DeBenedictus, DiGovanni & Weddell, LLP, where he worked for two years. He was employed for nine years by a regional firm Kahn, Hoffman & Hochman LLC who merged with RSSM CPA, LLP. There he had a wide variety of tax and audit experience and worked his way up to supervisor. In January 2015, he joined Gittelman & Company, P.C. Rory is a member of the American Institute of Certified Public Accountants (AICPA) and the New York State Societies of Certified Public Accountants. 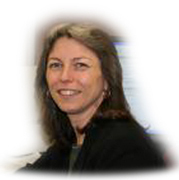 Assistant to Mark Gittelman, Dawn joined our firm in June 2008. 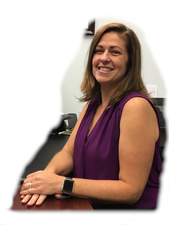 She came to us after working for a family owned CPA firm for 20 years both as administrative assistant to the President, as well as working closely with clients. Dawn has extensive experience with serving the clients and staff in a CPA firm environment while acquiring extensive on-the-job experience. Dawn has also completed many administrative courses as well as accounting courses, which also assists with serving our clients. Dawn’s main responsibilities include assisting Mark and other crucial obligations in order to serve our clients efficiently and effectively. Dawn looks forward to a long, fulfilling relationship with the family at Gittelman & Company. 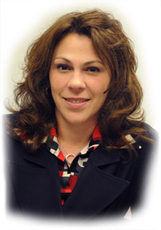 ​​Michele Babij joined our firm in April, 2010, as a Receptionist/Clerical Assistant. 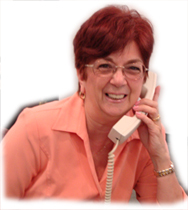 ​Prior to coming to work for Gittelman & Company, PC, Michele was a receptionist with a local law firm. Her previous work experience includes 5 years of Faculty Support at Rutgers Law School. Michele was also employed at First DeWitt Savings & Loan (previously Sovereign Bank and now Santander) for approximately 17 years starting as a teller and then promoted to Customer Service Representative.